Having a backyard is a true blessing for every home owner. Having a nice small outdoor space just for yourself is something many people don’t achieve their whole lives. And if they do, they rarely appreciate it completely. These spaces are often neglected, overgrown with weeds and full of dangers. But if you decide to take care of it, you can turn your backyard into a real oasis by only incorporating a few interesting landscape features. Here are a few ideas you can try. Lawn mowing and care. Many lawns situated in small backyards are poorly maintained and neglected, due to lack of time or will. So, before you do anything, you should just go around the lawn and determine all the possible problems in it. For instance, sometimes there are weeds growing in particular places, or maybe the lawn grass is sick and needs to be treated, you never know what you may encounter. So, once you’re aware of all the issues, you should find some free time and clean up the lawn. If you notice any possible diseases, it’s best to call a specialist. Another issue owners of backyard lawns face, is that sometimes the lawn is so small that getting a lawn mower doesn’t seem as a good idea which will pay off. In these cases you can look for second-hand options or just pay someone to mow your lawn once a week or so. Make the space personal. One of the biggest downsides of backyards is that they are usually located in urban areas, and peeping neighbours are a common occurrence. And we all want our gardens to be our own, a place where we can just sit by ourselves. Installing a fence can help you achieve that without having to be rude to anybody. Nowadays there are many types of fences you can try, so just choose one which answers to all your needs and the style of your backyard. If you don’t have the means to build a fence, you might consider planting some shrubbery or some trees, which will create a natural fence with time. Greenery not only will increase your privacy, but will also isolate all the unpleasant noises from outside. 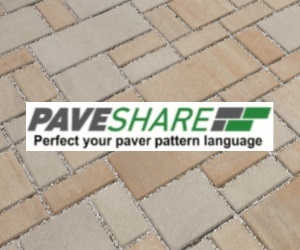 Paving and patio maintenance. If you want to make the most of your limited backyard space, instead of a lawn, you can create a nice paved patio, which goes all the way through the garden. On both sides you can locate flowers, vegetables, fruits or whatever else you want to grow in your backyard. Recent studies even show that home owners prefer a patio instead of a lawn in their landscape, because of the better functionality and less maintenance. And if you decide to incorporate both somehow, you will be able to say that you have it all. Just have in mind that the materials used to build the patio are essential – I would recommend to use stone or some kind of tiles. Never use wood, because it’s not practical in the long term. Create levels. Since space is limited with urban backyards, you will need to look for alternatives, if you want to increase the usefulness of the space. According to experienced landscapers, adding some relief by creating different levels will create more space in your garden. And there are many different ways to create levels in your garden. You can try building a raised patio, installing a deck, plant things in containers located on different heights and a lot more. You can even hang plants in pots on your new fence, if you want. And to keep everybody in your home safe, remember to install railing for your deck or raised patio. Outdoor furniture. What is a backyard without the proper furniture? A big waste of space, according to some people. 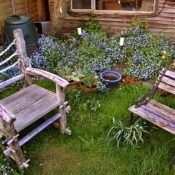 The garden furniture is a must though, if you want to create a nice space where you can relax and enjoy your time outside. And if you want to host outdoor parties, you should consider getting an outside couch and some folding chairs, to make it easier for everyone to gather. There are many options to look through. Plants and planting. Plants are the key to every beautiful garden, so you might consider planting some in your backyard. In order to do that, you will need to have a fertile soil in your garden. You will have to test it before planting anything, because in some big cities the soil contains heavy metals and toxins, which contaminate it and make it unusable. In such cases the container gardening is a good alternative idea. The outdoor area is also an important part of our property, and we should take the proper care of it, if we want for our home to look well maintained and clean. But many people have issues with cleaning the outdoor area, and especially the tiles, which are a very common part of the outdoor design around our homes. The outdoor tiles gather all kinds of dirt, mud and grim, and while we walk over them, we just help it stick to the surface for good. And when it’s time to clean them, many people give up before actually achieving any results, because it turns out to be hard and time consuming. But this is simply because you’ll need to be prepared for it with the proper cleaning detergents and tools. Here is everything you’ll need to know in order to clean those outdoor tiles without any complications. 1. First you’ll need to sweep the entire area with the broom. And make sure you sweep everything well, because otherwise you will only smear dirt on the tile surface. The goal is to remove all the standing dirt from the area, so the rest of the cleaning can be a lot easier. Some tiles are quite difficult to be swept, because of the wide grout areas. In these cases you should just apply more pressure and pay more attention. If the outdoor tiles in question are located vertically, than you’ll have to wipe the area with the broom in a downward motion. 2. After all the loose dirt is gone from the tiles, it’s time to get the garden hose and wash the entire area thoroughly, using only clear water. If there are any heavily stained or soiled areas, you should keep the hose there for longer and soak them. This way the compacted dirt will be loosened and it will be a lot easier to remove it later. Most tile and grout cleaning professionals even use special pressure cleaning machines to remove all the excess dirt, so if you have one in your home, you can use it. 3. Get the bucket, fill it with water, and add one tablespoon of the trisodium phosphate based cleaner. Make sure the two substances are completely mixed before you start brushing your tiles. If there are heavily stained areas in your outdoor tiles, you should pre-treat them by sprinkling some of the solution over them and wait for it to soak for a while. 4. Once you’ve prepared everything, you’ll have to dip the long handled scrub brush into the solution and start scrubbing the area section by section. It’s important to consider the space and divide it into sections, because this way you’ll be able to organise your work faster and it will take you less time. You’ll also have to make sure the floor doesn’t dry out before you’re done, because the trisodium phosphate in the cleaner leaves a white dust once it dries. And I’m certain that cleaning white dust from your outdoor tiles is not a fun activity. This is why observe the entire area while you clean, and if you notice that parts are beginning to dry, just pour some water or cleaning solution on them. 5. Once you’re done scrubbing the outdoor tiles and all the dirt has come off the surface safely, you should get the garden hose once again and flush the entire place to remove the cleaning solution from them. Then pick up the long handled squeegee and remove all the excess water from the tile surface. If you don’t do it, the water on the tiles will catch dust particles from the air, and you’ll end up with what you started.